First of all, I really thought the cover of The Last Heiress was beautiful. I was also very interested in the Civil War time period. However, The Last Heiress moved really slow for me. In fact, I got one-third of the way in and put it down. I didn't pick the book back up for over a week. I then restarted it and was able to feel a little more interest in the story. But, once I got past that same first third of the book, several pages dragged again. The war obviously disrupted Amanda's plans to acquire cotton, but I felt that that storyline ended too abruptly. She didn't seem to be busy finding other suppliers like she continued to claim she was in America for; instead, she was making excuses to meet up with Nate. 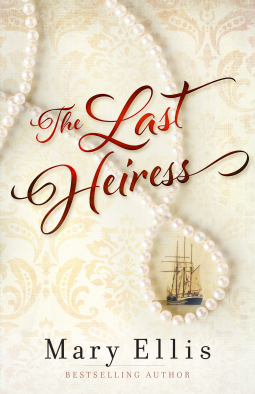 For me, The Last Heiress didn't quite match the beautiful cover. The story was too slow and choppy for me to enjoy. Thank you to Mary and Harvest House through NetGalley for sending me a copy to read and review!